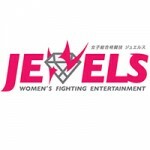 A total of 14 bouts are now set for Jewels: “17th Ring” on December 17th in Tokyo, Japan. Four additional matchups were announced today, including pro mixed martial arts bouts pitting 16-year-old grappler Shino VanHoose against Asami Higa and a rematch between Yuka Okumura and Anna Saito. Also on the card, Miyako “Smile” Mitsuhori faces Mai in a kickboxing bout, while newcomer Yukari Yamaguchi takes on Nana “Chanchin” Ichikawa in a one-round amateur MMA match. Yamaguchi trains alongside 2010 Rough Stone Grand Prix winner Mizuki Inoue and makes her MMA debut. VanHoose (1-0-0) impressed in her mixed martial arts debut this past October. Facing the much more experienced Nana Ichikawa, VanHoose finished her opponent with an Ezekiel Choke in 51 seconds. The teen grappler now clashes with Higa (0-2-0), who has made two appearances for Jewels in the past year but is still looking for her first win. Higa fell victim to a second-round scarf hold armlock against former contender Miyoko Kusaka one year ago and dropped a Unanimous Decision in May. Veterans Okumura (1-8-0) and Saito (1-8-0) face off in a rematch from a July 2007 Smackgirl event. Okumura earned a Split Decision victory in the pair’s first fight, but that remains her lone victory to date. Saito earned a decision win in 2007, but despite remaining very active in both MMA and kickboxing, she has yet to secure victory in MMA action since that time. The veteran fighters have both battled tough competition throughout their careers. Jewels: “17th Ring” takes place on December 17th at Shinjuku FACE in Tokyo, Japan. The event will crown the first Jewels Featherweight Queen Champion. Unbeaten prospect Naho “Sugi Rock” Sugiyama faces Kikuyo Ishikawa in one semi-final bout. Misaki Takimoto takes on Yukiko Seki in the other. The winners of the semi-finals will then face off in the tournament final to crown the first champion. The card also features a rematch for the Jewels Lightweight Queen Championship. Current titleholder Ayaka Hamasaki defends against rival Seo Hee Ham. For the first time in Jewels history, the title bout will be contested over three, five-minute rounds, rather than two. Special Rules will apply to the title fight, allowing strikes to the face on the ground.